13th November 2009. What are you doing this Christmas?, Christmas Specials & Stocking Fillers, New Blog System, and a New Trek - St Mary Peak and Wilpena Pound Walk. As usual for this time of year, ExplorOz kicks off the Christmas cheer with our best specials available now in our online shop. Don't leave it to the last minute though, as our office will be closed from December 23rd. 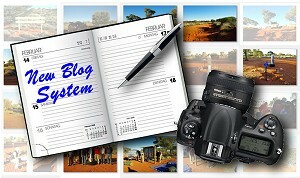 In this newsletter you'll find out about major changes to ExplorOz Blogs - just in time for your holiday travel journals. And, if you’re looking for a challenging hike to work off your holiday indulgences, read up about the St Mary Peak and Wilpena Pound Walk that has just been added to our Treks section. Are you staying home, going on a camping getaway, visiting family, living it up at a resort or working over Christmas? Take part in our latest online poll and find out where you fit in! 4WDriving - Whether you’re looking for day trips close to home or going away, the ExplorOz Shop stocks a massive range of guide books to help you plan for some great 4WDriving. Fishing - If you hope to catch Christmas lunch or looking to keep occupied on your days off, the ExplorOz Shop has the essentials in Fishing books. Camping or Caravanning - We are geared up with the best books in the market right now. We stock all the popular guide books with campsites & caravan park locations along with a massive range of fascinating reference books covering a wide range of subjects such as fauna/flora, photography, prospecting, map reading, stargazing and many technical reference guides to help you enjoy and understand your surroundings. Don’t know? – ExplorOz currently has 1506 different activities and tours throughout Australia that you can browse, select and book right now, either for yourself, or as a gift. Book online and save! Christmas SALE - 30% Discount ! 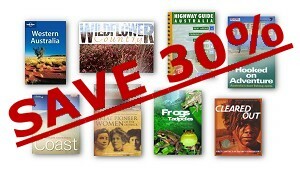 Especially for Christmas bargain hunters we've selected 64 items from the ExplorOz Shop and slashed 30% off the price! This discount is only available for items in the Christmas Specials category but there's a wide range. These unbeatable bargains include selected children’s books, inspirational reading and travel guides. So, buy from the ExplorOz Christmas Specials category for a massive 30% off, but hurry, because once stock runs out, they won’t be available from the shop again. Just launched today, the entire Blogs section on ExplorOz has undergone a massive look/feel overhaul. We've finally added some necessary tweaks with a major focus on offering a range of search options. You can find blogs for any Member using a look-up, or enter any word to search all blogs containing that word/phrase, or you can search by tag to keep reading on a favourite topic or theme. All these changes have been made with consultation with supporting Members who've provided feedback. As usual, this is the first stage of development so let us know your ideas/comments for future refinements. Looking for stocking fillers this Christmas? Get something different from the usual trinkets with this fantastic range of outdoor products, great anytime space is at a premium. They’re compact, useful, and all under $20. 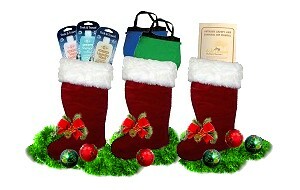 Excellent gifts for anyone - many products can also be utilised at home. Most of these items are lightweight so a great gift idea if you’re sending presents interstate or overseas to keep postage costs down. Click for items under $20. The St Mary Peak Hike offers the adventurous and fit outdoor person the opportunity to enjoy a challenging, long hike to the highest point in the Flinders Ranges, which is also central to the local Adnyamathanha Aboriginal people Dreaming Story. Hikers will be rewards with 360° views of the ranges, surrounding plains and further west to the dry salt lake of Lake Torrens. 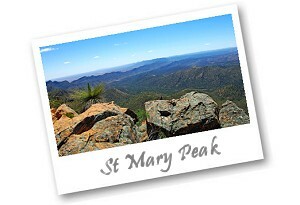 Click for St Mary Peak and Wilpena Pound Walk trek note. 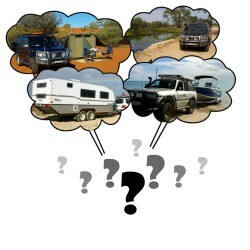 Learn to tackle coastline and desert terrain with confidence and have fun too, with Cape York Connections & 4WD Centre. If you're after solar panels at a great price, there's a new business on the block - Mandrake's Solar Power. Before you buy, check the ExplorOz Directory containing all the businesses in the industry that put their brand in your hands. Simply enter a word, or search term, to quickly locate sellers by product, or search by category. Search results provide links to a feature page for each business. Our newsletter is distributed to 41,313 subscribers on a fortnightly basis.